The Kiely family homestead in Cappagh, County Limerick, Ireland (pictured above) was originally the O’Brien family homestead. Daniel O’Brien, the father of Mary O’Brien was a weaver – there is a tradition of weaving in Cappagh and the nearby area. Daniel owned a small weaving loom, suitable for smaller garments (the Cappagh based family still has remnants of the loom). The family story is that Daniel’s daughter Mary and her husband Patrick Kiely, a thatcher from Beagh (County Limerick, Ireland) moved in with Daniel when his wife passed. Daniel kept a room for himself and his loom and small section of the yard, and Patrick and Mary had the rest of the home and the remaining 8 acres of land. Patrick is confirmed to be a thatcher by both his and Mary’s death records. Patrick held a contract from Lord Dunraven for thatching the village of Adare, which still features thatched homes to this day. Patrick’s parents were Michael Keily and Ellen Ryan and they were married in 1844 in Bruff (County Limerick, Ireland). We know nothing about Mary’s mother, except that her maiden name was Scanlon and that she died before her husband, Daniel. Patrick and Mary had 10 children. Daniel Kiely was born in December 1872 in Rathkeale and is the only child who’s baptism record cannot be found at St. James Church, Cappagh. He married Ellen Glenny in 1897 in Cappagh, but the nuptials were short lived as both mother and child were lost during the childbirth of their first child. He set out for America in 1900, arriving in NY. He became a NY Policeman, married Cassie McCusker, and raised his 4 children in Bronx, NY. Michael Kiely was born in October 1874 and died in Cappagh of Tuberculosis at the age of 23. Ellen “Nellie” Kiely born November 1876, married Tom Healy and moved to Glin (near Cappagh), where they raised their 5 children. He was a carpenter, who turned a steady business building coffins into an Undertaking business. The Healy family introduced the first hearse (a early edition car they modified themselves) to the area. Nellie’s son, Tom, moved into the Cappagh house when her mother, Mary Kiely, died. She wrote to Daniel as he was eldest son and entitled to the farm, and had 1 year to claim it per their mother’s will. He wrote back that Ellen could have the homestead as he had established a new life in NY. Bridget “Bertha” Kiely, born February 1878, immigrated to the New York at the age of 23. She married Oscar Armand, a German mechanic, and raised their 4 girls in Westchester & Rockland, NY, and nearby New Jersey. When the family was young, Armand worked as a Steam Fitter Foreman in British Columbia for a number of years. She interestingly changed her name throughout her life – she was born Bridget, went by Bertha by the time she was 20, and started going by Josephine in her 40’s. Mary Kiely born June 1881, came to the US first in 1902. She then went back home and returned to the US in 1904 with her younger sister Margaret and joined Daniel in NY. She returned to Cappagh again some time before 1913, presumably having earned her dowry, and married Michael Roughan, a Seaman from Killrush in County Clare, on November 11, 1913, at St. James Church in Cappagh. They settled on the bank of the Shannon Estuary between Tarbert and Glin, living in the Shannon Lawn gate lodge with Michael working as a handyman and yacht sailor for the estate owner and Mary as a servant at nearby Glin castle. In a horrible accident, their first daughter died as an infant when clothing drying over the fire caught ablaze and dropped into the crib. 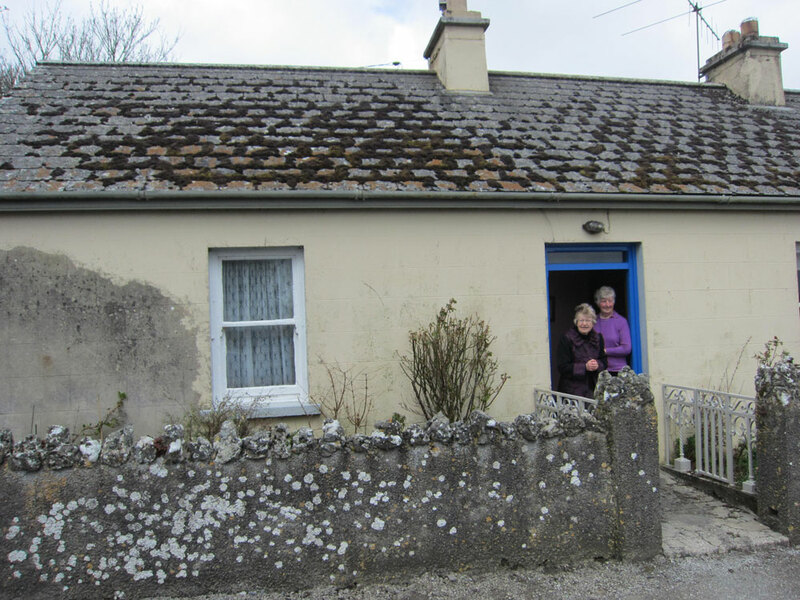 When Mary died of tuberculosis (or maybe cancer, family stories disagree) at the age of 44, Michael moved with two eldest children back to his parents in Kilrush. Betty, aged 2, was left with grandma Nellie Healy, but after trying to run away a few times (apparently not a fan of Glin) she eventually joined her siblings in Kilrush. Annie Kiely was born December 1883 and died in 1895 at the young age of 11 in Cappagh of Tuberculosis. Margaret Kiely was born in June 1886 in Cappagh. She immigrated to New York with her sister Mary at the age of 18. She married Charles Lafurge, a chauffeur, some time around 1910 and settled in Westchester, NY. Sadly, Margaret and Charles lost their first child, Frederick, at the young age of 3. She died at the age of 31 during the Spanish Flu Pandemic in 1917, leaving a 3 year old daughter, Margaret Lafurge. Charles remarried to a swede named Christianna (also called Anna) and raised Margaret and his children with Anna in Westchester. Patrick Kiely, born August 1887, also immigrated to New York. He was a Hurling champion and his team (Limerick) won the NY championship in 1914 and he was captain in 1915. Unfortunately he fell ill and returned home to Cappagh where he died of Tuberculosis. Patrick was a brother in the Gaelic Athletic league, which had strong ties with the Irish Republican Brotherhood at the time. When he passed, the the NY Hurling teams donated enough money for the Kiely’s to purchase a pretty upscale cemetery stone for Patrick’s grave (and later the rest of the family) in Kilmoylan Cemetery. Catherine “Kitty” Kiely born in July of 1890, also immigrated to NY in 1907. She boarding the White Star Line Majestic in Cobh using a ticket her brother in law, Oscar Armand, purchased for $32.50 (about $3013 in 2013 US dollars! ), and was detained at Ellis Island until her brother-in-law, Oscar Armand, was able to come fetch her. She married Henry Wallace Greenland, a mechanic from London, in 1911 at City Hall in New York City. She died in 1917 at the age of 27 of Tuberculosis. Elizabeth “Lil” Kiely, born May 1893, stayed in Cappagh and married David Walsh. She died prior to 1925. Leaving her husband and one son, David, who never married.